Kapuso Dance floor Heartthrob Mark Herras dances his way into Chef Boy’s kitchen this week to personally experience how these Sunday dishes can make each family weekend food experience memorable. 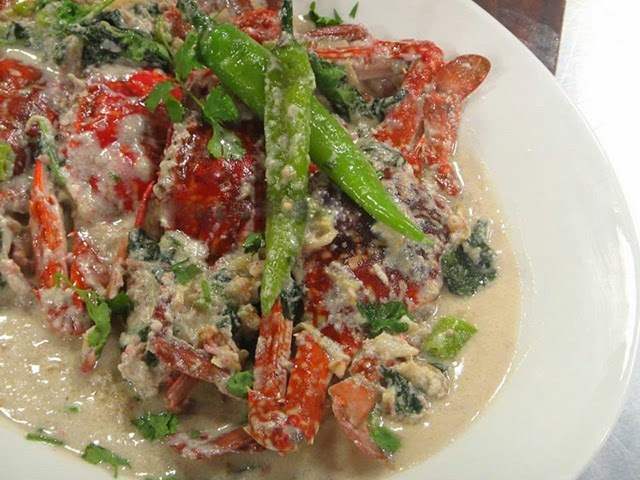 Enjoy the flavors of the sea with a classic Ginataang Alimasag recipe. 1. In a large pot, sauté the garlic, lemongrass, and ginger. 2. Add the coconut milk then bring to a boil. 3. Put in the shrimp paste and fish sauce and cook until the coconut milk is thick. 4. Add the finger chili and simmer. 5. Put the crabs in the pot and mix until evenly covered with coconut milk. Simmer until crabs are cooked. 6. Add the spinach last and transfer to a plate.